A warm breeze, touched lightly with the scent of olives and the distant sea, ruffled Ajani's fur. It whispered through short yellow grass and the bright green leaves of stout, timeworn trees. Of all the worlds he had visited, Theros felt the most like home. Even his own plane, Naya, was no longer the world he had known, having since merged with the other four shard-planes of Alara to form a whole but wounded world. But Theros, protected by powerful, ageless entities, had always seemed unchanging. The locals called them gods, and for once it was difficult to argue. Elspeth seemed to find it comforting, to think that minds greater than any mortal's were watching over her. Ajani found the idea less appealing. Bitter experience had taught him that any being powerful enough to be worshiped as a god was also powerful enough—and at least as likely—to destroy a world rather than protect it. The god-behemoths of Naya were just mindless beasts, their motions forming patterns of mundane migration rather than divine inspiration. The dragon Planeswalker Nicol Bolas, whose power truly was godlike, had manipulated centuries of religious and political development on the shards of Alara to facilitate his own selfish and destructive aims. Still, Ajani could not deny the might and majesty of the gods of Theros, nor the beauty of the plane they safeguarded. Perhaps Elspeth had the right of it after all. Ajani walked the rest of the day, over rolling hills covered in scrub and up into the mountains, until he caught the familiar scent of leonin. His people had been here, recently. He was still hours away from what he remembered as their territory, but it wouldn't surprise him if they'd expanded. He made camp in the fading light, without stealth or subterfuge. His white fur would shine like a beacon in the darkness, and if there were leonin out here, they would find him. As the sun set, the stars came out, and Ajani gazed up, eager to see the show of light and color that played across the sky every night, stories of gods and mythic figures echoed in slowly moving constellations. The phenomenon was unique to Theros, and it was beautiful. But not tonight. Tonight, the stars were coldly indifferent, the space between them black and empty. Worse, in one corner of the sky, there was simply blankness, a void where no star shone. Ajani wondered what had happened, and what Elspeth would think of it. Elspeth. His thoughts kept returning to her. He knew she had left Dominaria, headed for the metal world of Mirrodin. Ajani knew the leonin there and had planned to visit them—primarily as an excuse to look for her, if he was being perfectly honest. Then other Planeswalkers had spread the word: Mirrodin is dead. Phyrexia has returned. For the sake of this world and every world, do not set foot there. He feared for Elspeth, and even more for his friends on Mirrodin. But he kept up hope. Even when worlds died and skies darkened, there was always hope. Elspeth might still be alive. The thought was a comfort he clung to as he drifted off to sleep. He awoke, blinking at the dawn, staring up at a massive axe wielded by a young female leonin with gray fur. Her ears were folded tightly back. The faintest rustle in the scrub told him there were two more leonin surrounding him. "Identify yourself," said the young female. "You are Seza," said Ajani, yawning, "and the last time I was here, you were too young to go out on patrol." Seza's eyes widened, and her ears sprang up. "White fur. One eye. Big axe. Who else?" She lowered her axe and smiled shyly. Ajani sat up, rubbing his eyes. "I had to be sure," she said. "There are strange things in the wilds these days." She signaled to her companions. "This is Ajani Goldmane, a friend of Oreskos." Two other warriors, also female, stepped out from behind Ajani. "Aletha!" he said, clapping a hand to the shoulder of the taller one. "And... forgive me. You are?" "Koila," said the third leonin. She looked to Seza, who nodded reassurance. "I grew up in the wilds, and came to Tethmos only recently." "Koila," he repeated, fixing the name in his mind, along with the image of her mottled golden fur and the notched scar above her nose. "Come on," said Seza. "Let's get you back to Tethmos. You should see what Brimaz has done with place." "Brimaz!" said Ajani. "Brimaz is king? And Seza leads patrols. Have I truly been away so long?" The four leonin walked together through most of the day. Aletha had always been quiet, and Koila proved even more so, so the conversation was mostly Seza catching Ajani up on the happenings among the leonin of Oreskos. The queen, Omala, had died in battle with humans. Brimaz, her chosen successor, declined to seek vengeance, a controversial choice that had ultimately won him more friends than enemies. When Ajani had been here before, it was apparent that Brimaz might be king someday. Ajani had spent long hours in conversation with the young man about the importance of coexistence with humankind. Perhaps his words had taken root. At the border of the patrol's territory, his companions stepped aside for a brief conference in hushed tones. When it was over, Aletha and Koila waved farewell to him and turned back, while Seza gestured for him to keep walking. "I don't want to take you from your duty," said Ajani, although he was grateful for the company. "I know the way to Tethmos." Seza shook her head and fell into step beside him. "It's not that. Things have been dangerous lately. The minotaurs are ranging more widely than usual, and in greater numbers. And there's no saying what the humans will do, now that..." She gestured to the sunlit sky and faltered. "Do you know anything about that?" he asked. "Not much," said Seza. "One day, the gods just... went away. Angry at mortals, or so the humans say. All I say is good riddance." "And they left that ring of blank sky?" She stared at him for a moment, but on his previous visit he'd already earned a reputation for asking strange questions. "That showed up a few days ago," she said. "Our storyteller calls it the Moat of Oblivion, but he's as clueless as anybody else as to what it actually is." They were now well within the borders of Oreskos, the leonin homeland. Nonetheless, the sun had set and the strange, scattered stars had come out by the time they crested a rise and saw the watch-fires of the den of Tethmos, the largest single settlement of leonin on Theros. 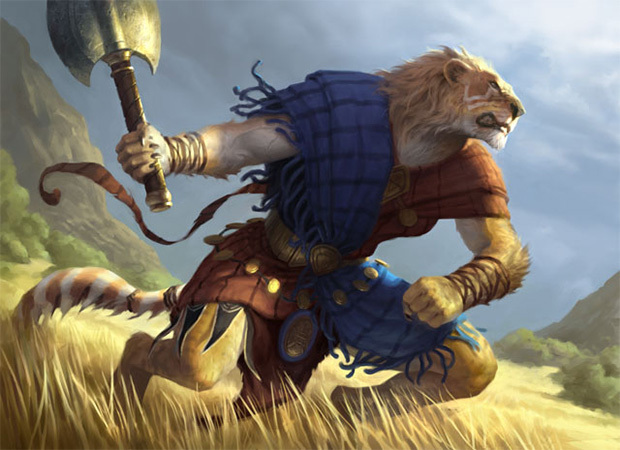 Most of the leonin were nomadic—most leonin everywhere were at least partially nomadic, enough so that Ajani considered it part of their nature—so even their largest settlement could hardly be called a city. Still, it was bigger than he remembered it, with less open space within its brightly painted walls. Seza and Ajani were no outsiders, and the gates were open. They walked through unchallenged. Seza spoke with a nearby guard, and the two were ushered into the king's hall. There was a fire roaring in the middle of the great hall and a boar roasting over it, the air filled with the succulent smell of seared meat. A group of leonin sat around the fire. The largest and youngest of them sat facing the entryway, and he rose when Ajani and Seza entered. Ajani was tall for his kind, but Brimaz was taller. The gangly adolescent of Ajani's memory had grown broad-shouldered and self-assured, with sharp features and a full, flowing mane. Brimaz wore fine clothes and a thin, jagged crown, concessions to his station, but the tracery of scars across his exposed shoulder marked him as a leader who did not shy from the front lines. Brimaz stepped forward, so that Ajani had to crane his neck to look up at the king's face. "That's King Brimaz, now," he rumbled. There was no sound but the crackle of the fire. Ajani stared into Brimaz's golden eyes. Few people could bring themselves to look directly into Ajani's pale blue right eye and the tangle of scar tissue that had once been his left, but Brimaz had never shied away. The corner of Brimaz's mouth twitched. Brimaz snorted, and soon the two leonin were chortling and embracing. "King, now, is it?" said Ajani, regarding the young monarch at arm's length. "Shall I call you 'your majesty?'" "Fah," said the king. "Brimaz will do. But I did have you worried there, didn't I?" "Not for a moment," said Ajani. "Of course not," said Brimaz, eyes twinkling. "Sit. Eat. I'm sure you've traveled far." Brimaz wasn't fully aware of Ajani's true nature as a Planeswalker, but he surely knew that the older leonin's origins, and his frequent travels, had nothing to do with any place the leonin of Oreskos had ever heard of. "It's good to be back," said Ajani. Ajani and Seza took their seats. One of the king's advisors peeled hunks of slippery meat off the boar roasting in the fire pit and handed them to the newcomers. Ajani gratefully bit into succulent pork, grease dribbling down his chin. "My thanks for your hospitality," he said around the mouthful of food. Beloved visitor or no, business before sustenance was an offense not even he would be forgiven. There were small conversations going on around the fire, none about matters of consequence. Only when Ajani was licking the grease from his paws did he speak. "As I said, it is good to be back." "But that is not why you return to us," said Brimaz, smiling. "You have come to counsel me, or ask me for something, or urge me to action. I recall the ways of Ajani Goldmane, stranger and friend." "You know me too well," he said. "Someday, perhaps, I will come here simply to see my friends. It would be worth the journey. On this occasion, I'm afraid you're right. I'm here looking for your help." "Ajani is a friend of Oreskos," said Brimaz. "What help do you need?" "I'm here looking for a friend of mine, a human," said Ajani. "Her name is Elspeth." "She is, like you, from far away?" "If she's here," said Ajani, "I hope that means she's no longer in trouble." "But if she is like you," said Brimaz, "I'd imagine trouble has a habit of finding her." "You should talk to Lanathos," said Brimaz. "He is a human chronicler who's trying to learn about our ways." "Does that mean you've been taking my advice about reconciliation?" The rest of the leonin around the fire pit had been talking among themselves, content to let the king and his old friend speak in a semblance of privacy. Now they were quiet, ears cocked forward, listening. "I have, where it seems prudent," said Brimaz. "But as it happens, Lanathos came to us. Not everyone trusts his motives,"—a glance, there, to some around the fire—"but he is harmless. He tells us stories, and he listens to ours. I don't know why he finds us worthwhile company, but a human who listens to our grievances is refreshing enough to let him remain. He spoke with human traders recently, so perhaps he's heard news of your friend." "There is much I want to ask," said Ajani. "About your people, old friends, the sky..."
"...but you are worried about your friend," said Brimaz. "Go. Speak to Lanathos. Catching up can wait." Lanathos the Chronicler was an older man whose neck and lower face were covered in rippling burn scars. His white hair was cropped close, and he stood in front of a roaring fire and told his tale with the passion and intensity of a master storyteller. "...and so Polukranos returned!" cried Lanathos. "Knocked from his place in Nyx by the careless fury of Purphoros." Lanathos glanced meaningfully at the starry sky and exaggeratedly rolled his eyes. Such irreverence would land him in court in any of the human poleis. But here, the leonin chuckled. Either the man was playing to his audience, or he was every bit the iconoclast they were. Ajani wondered how different this story had been when Lanathos had heard it. "You all know what happened next—how Nylea and Heliod bound Polukranos beneath the earth, to slumber there forever and leave the mortal world in peace." Polukranos was some kind of massive celestial hydra who had to be bound in the stars to keep mortals safe. Ajani had heard the story of his fall and imprisonment the last time he was here. "But, my friends, the gods have a different definition of 'forever' than you and I do," said Lanathos. 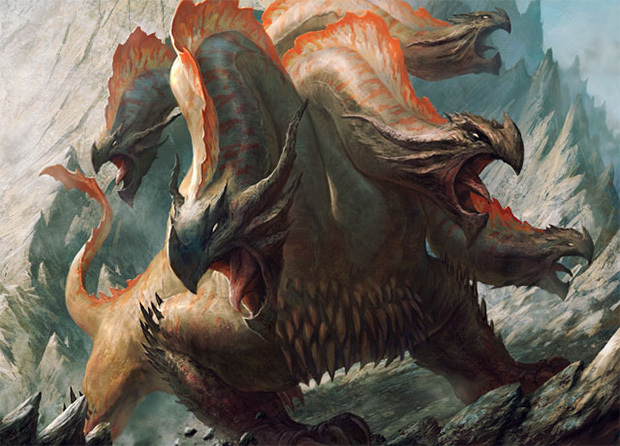 "For Polukranos awakened to threaten all of Theros once more!" There were murmurs now of genuine alarm, as though Polukranos might charge over the horizon at any moment. Ajani smiled. The leonin were a good audience, when they deigned to be. "In eons past he devoured an entire city, and no less than a city would sate the hunger of his fifty heads," said Lanathos. "Meletis, now, would be the target of his savage might!" More of the crowd murmured. One cheered, but was swiftly shushed. It was Meletis that had enslaved the leonin, long ago. They considered it their true homeland, and many hoped to one day recover it. The thought of the city in peril, even in a story, seemed to cut both ways. "The earth shook with his steps and lakes formed in his footprints. He devoured everything in his path, rampaging from the Nessian Forest to the Plateau of the Four Winds, where the tyrant Agnomakhos was vanquished. Nothing stood between Polukranos and Meletis. Nothing... except the Champion of the Sun!" The crowd cheered. Ajani wasn't surprised to hear that this was a story from the Theriad, about the half-mythical Champion of the Sun. Despite being blessed by the foremost of the human gods, the Champion was a popular figure among the leonin, and Ajani had heard many stories from the Theriad on his previous visit. Perhaps it was because stories of the Champion, unlike the god-stories popular in human lands, focused on the acts of mortals rather than the quarrels of the gods. The Champion had Heliod's blessing, but her trials were her own. "There she stood!" said Lanathos. "Armor shining, spear held high, white cloak whipping in the four winds. 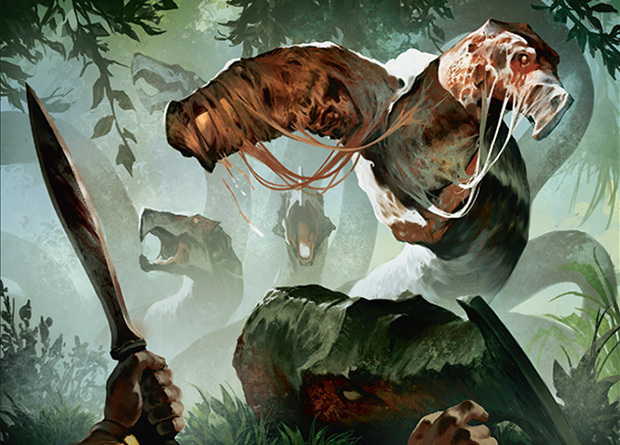 She strode forward and shouted a challenge, and the hydra's fifty heads turned to face her. "Now, the Champion was a stranger to these lands. Meletis was not her city. But no one else was there to defend it, and the Champion would not let it fall. "She was a speck before the great body of Polukranos, whom even the gods could not kill. But she had a weapon, a weapon Polukranos had never faced: a spear, forged by Purphoros, blessed by Heliod, shining with the light of the sun and the will of the Champion. She leveled her spear and charged. "Polukranos saw this lone mortal who dared to face him, and fury awakened in him. He opened wide one slavering maw and swallowed the Champion whole!" The leonin gasped. Ajani frowned. Was this the end of the Theriad? Had they never heard it before? "Ah," said Lanathos, "but the Champion of the Sun was wise as well as mighty, and she proved a difficult morsel for Polukranos to devour. Just as he swallowed her, she lashed out with her spear and sliced the hydra's head nearly off its neck. She jumped to safety, and the head was maimed, but not fully severed. It could not grow back! "For days, they battled. Each time Polukranos, in his mindless rage, tried to swallow the Champion, she cut her way out and left another head useless. The gods watched, helplessly bound by the Silence of Kruphix, as a mortal killed their prized pet one head at a time." Ajani wondered if this "Silence" was something like what was happening in the sky now. It wouldn't surprise him if such things had happened before. The memory of Theros was long, and the gods unruly. "At last, the Champion faced the final head of the mighty Polukranos. He had learned that swallowing her would only lead to pain. He tried to step on her, but she set her spear to skewer his mighty feet. He lashed out with his tail, but she nimbly dodged. When he faltered, she dashed up his tail, ran across his back, climbed his last thrashing head, and drove her spear into his eye. "Polukranos, eater of poleis, beloved of the gods, was no more. All that remained on the silent plateau was the Champion of Heliod, her spear shining in the sunlight." Lanathos bowed expansively, and the leonin murmured appreciation. No doubt the storyteller understood by now that leonin were much more subdued than human audiences. As the crowd dispersed, Ajani made his way over to the chronicler. "A fine story," he said. "My name is Ajani. The leonin of Oreskos count me as a friend, and I'm glad to see they consider you the same." "Friend to most," he said. "Pest, propagandist, and spy to others. As with anything, it depends on who's telling the story. But I seem to have King Brimaz's trust, and that's enough for most people." "It's enough for me," said Ajani. "I was hoping you could help me find a friend of mine, a human. Her name is Elspeth." "That's an unusual name," said Lanathos. "So's Ajani, when it comes to it. Where did you say you're from?" It's always the storytellers who ask, thought Ajani. "Far away," said Ajani. "Over the mountains, and then some." He'd thought it an innocuous answer, but he could tell right away he'd said too much. Lanathos's bright eyes widened. "There are people across the mountains? Leonin and human? Have they cities? Temples? Knowledge of the gods?" Ajani held up a hand, and Lanathos paused in his breathless litany. "Later," said Ajani, "perhaps, I will answer your questions." Lanathos's face reddened—something like lowering one's ears in shame, Ajani had learned, although there were nuances of human expression he still didn't grasp. "Of course," said the chronicler. "You're looking for your friend." He rubbed his scar-mottled chin. "I'm sorry to disappoint you, but I'm the only human in all of Oreskos that I'm aware of." "Brimaz said you spoke with human traders recently. Did you hear anything from them about a newcomer to their lands, a solitary woman who spoke strangely and carried a sword?" "Of course I did. You just heard the story they told me." Ajani's ears swiveled back of their own accord. Was the old human making a joke? "I am looking for my friend," he said. "Not the Champion of the Sun." "What makes you think your friend isn't the Champion?" Ajani let his ears fall entirely flat. "I heard stories of the Theriad the last time I was here," he said. "About the Champion training with the centaurs, and living among the leonin. My friend is here now, and she never did any of that." "Ajani, you're speaking about the Theriad as though it were about a single person." Ajani took a deep breath and let it out. "Yes," he said. "I am. Remember, I am from a distant land. If I've misunderstood, please, explain." "The Theriad is about the Champion of the Sun," said Lanathos. 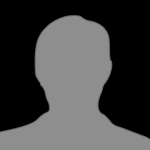 "But that's not a person. It's a title, bestowed by Heliod on a worthy mortal in times of great need. The story of the Theriad is the story of all of them, from the first, whoever that was, to the latest—the woman who slew Polukranos." "The latest," murmured Ajani. "You told that story as if..."
"Recently," said Lanathos. "Very recently. During the Silence of the gods. A month ago, perhaps slightly more." 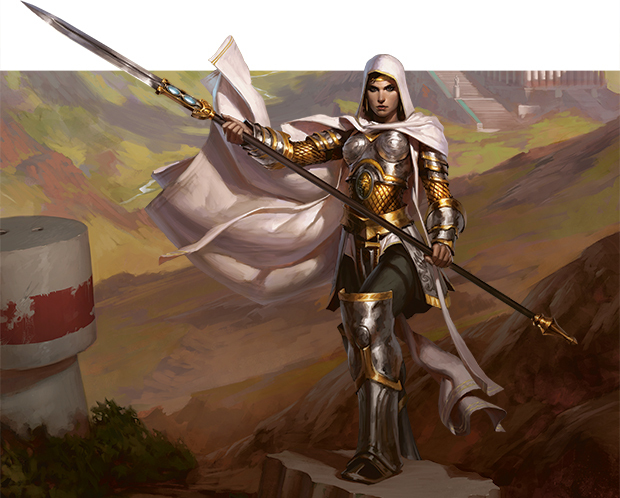 How quickly Theros transformed events into history, and history into myth! 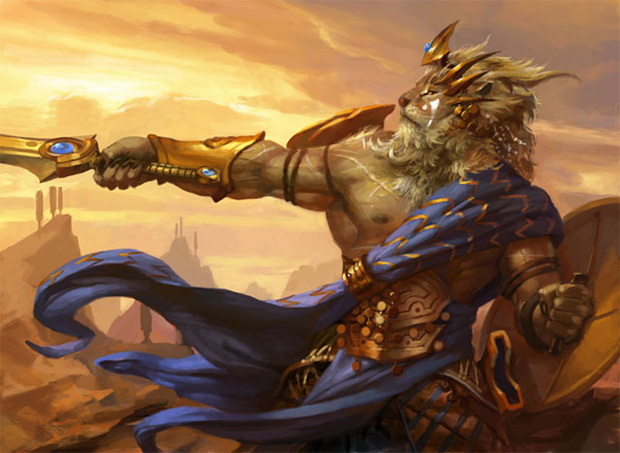 "In your story, the Champion fought with a spear," said Ajani. "I've never known Elspeth to carry one." "Details are like clothing; people change them to keep them fresh. When I heard the tale, it was a spear. When the traders who told it to me first heard it, perhaps it was a sword. These things change in the telling." "And what about the setting?" asked Ajani. 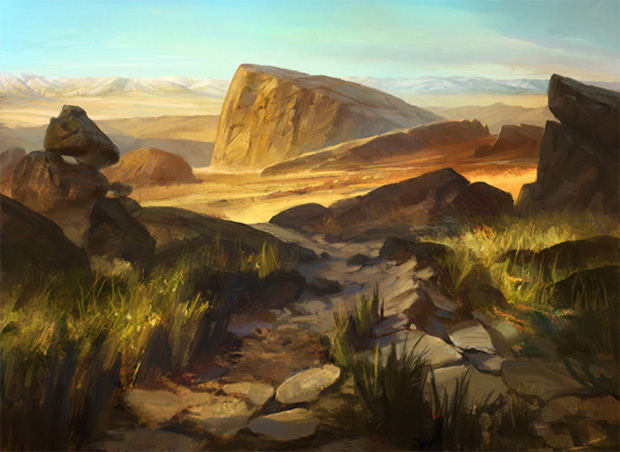 "The Plateau of the Four Winds. Do you think she was truly there?" "Perhaps not on the plateau itself," said Lanathos. "I'd wager she really was near Meletis, though. Polukranos threatening the City of the Twelve is the soul of the story. But don't think she's there any longer." "Another story I heard," said Lanathos. "After she slew Polukranos, the Champion was spotted at Akros, which has been besieged by a horde of minotaurs. Brimaz is aware of it, as a military situation, but I wasn't going to tell that story yet. I still don't know how it ends." "Thank you," said Ajani. "You've helped a great deal." "What are you going to do?" asked Lanathos. "Find her," said Ajani. "Help her, if she needs it." "After all, the Champion always has companions."